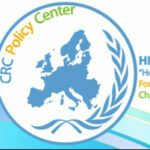 “Hope For Children” CRC Policy Center is requesting quotations for an External Evaluator to carry out the necessary work for the EU funded project BASE: Migrant and refugee child-friendly support services in cases of sexual and gender-based violence REC-AG-2017/REC-RDAP-GBV-AG-2017 – 809952, which the Implementing Partner is currently executing, for the period between 07/01/2019 and 06/01/2021. The objective of the External Evaluation is to assess project's key results, impact and sustainability; analysing outputs against key project indicators, and the impact of the outputs based on the results of the pilot activities. The evaluator will submit to the partnership his/her objective opinion expressed through Output Evaluation and Impact Assessment Reports. * Regularly liaise with the project coordinator and internal evaluation team to support progress monitoring, risk assessment and corrective actions needed. * Communicate with project partners as required. * Produce one final external evaluation report. * Good understanding of and proven experience on vocational and educational training; capacity-building of professionals; and implementation of activities close to migrant communities will be considered an advantage.